The half-marathon is the longest distance of the event! This sought-after course has nothing to envy to other events. The participants will go through the heart of the city center, with, amongst others, the magnificent main street with numerous stores. 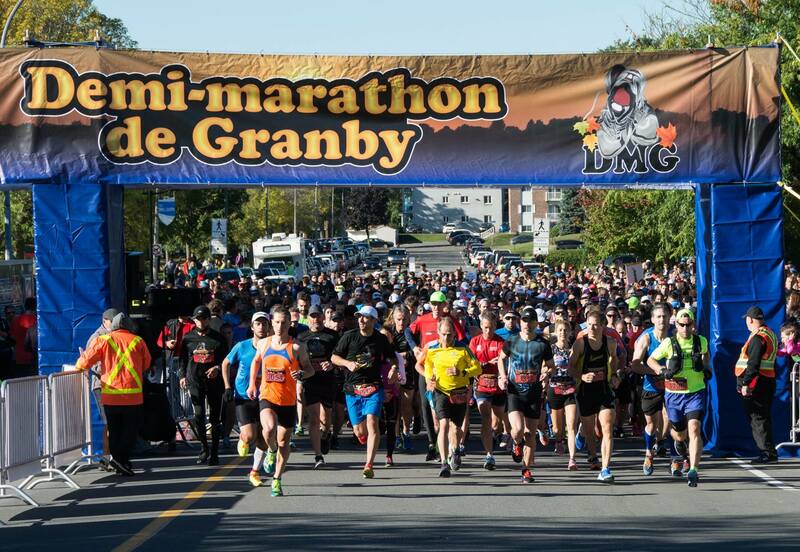 Then, the course will lead across the footbridge to the outstanding bike path surrounded by the wood, colored with flamboyant autumn leaves.Once at the Centre d’interprétation de la nature, runners will be guided to the finish line towards Drummond Street, passing through Estrie Boulevard. On the course, there will be six water stations and toilets.